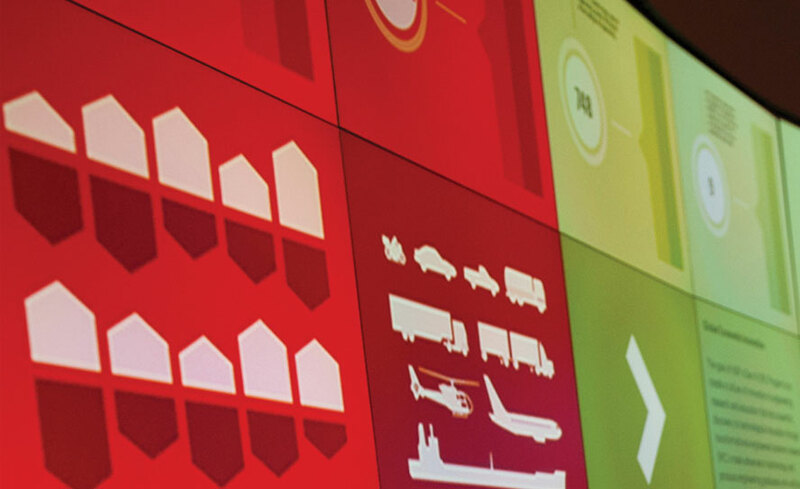 At NC State, we solve global challenges and create economic, societal and intellectual prosperity. We do it by merging creative, innovative ideas with purposeful action. At NC State, we think and do. The NC State brand is the constant connection between thought and action. Each drives the other, always moving together. We think actively and act thoughtfully. We invest in outcomes that serve the greater good. We pursue research with purpose. Our work results in clear, tangible, meaningful applications. We teach in order to make better thinkers who transform ideas into reality. 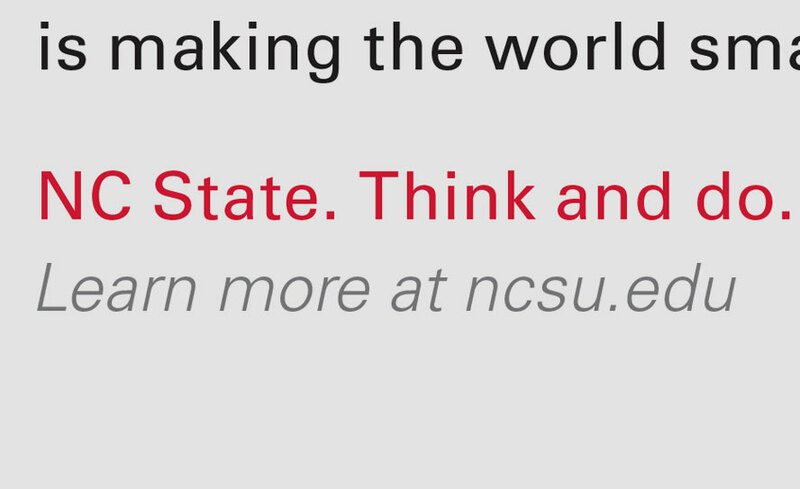 In launching the refreshed NC State brand, we embrace Think and Do as a potent summary of the brand platform. It captures the essence of NC State’s personality and purpose, providing a simple, memorable statement of what makes this remarkable university different from — and better than — our competition. Find out how NC State faculty, staff and students merge thought and action. Every aspect of our communications should connect thinking and doing. Make sure every choice — logo, font, color, language, design, imagery — is purposeful. 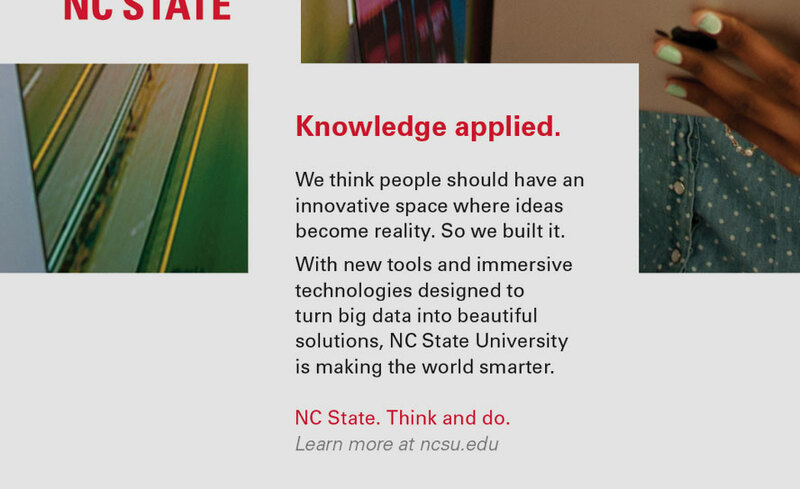 Show how NC State always combines thinking and doing in everything. Staying on brand: It starts with the NC State logo. 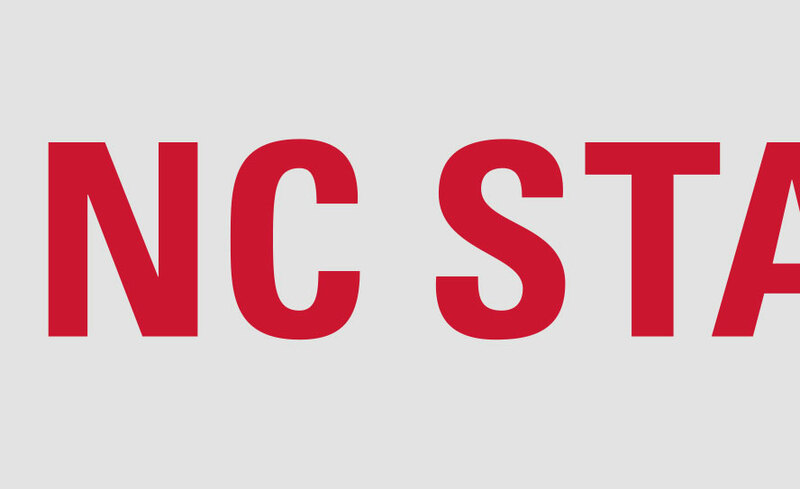 Meet the official NC State font family. Thoughtful action is the rule for imagery, from subject matter to shooting style. Like global solutions, our color palette comes from the campus around us. 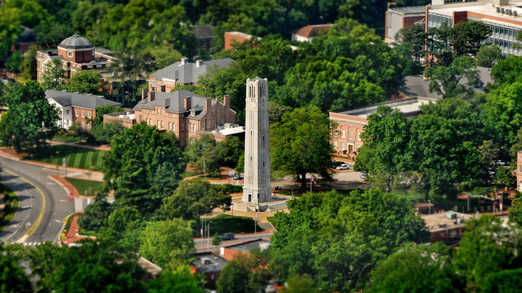 The voice of NC State is courageous, innovative, intellectual and purposeful. Bring all these elements together, and you're ready to Think and Do. Think and Do is the university’s brand theme. 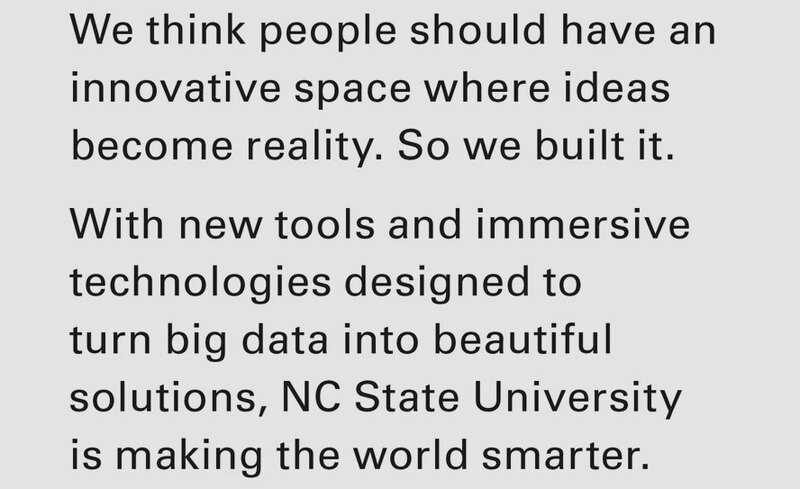 It’s an expression of NC State’s mindset and our ongoing mission to create prosperity. We encourage you to talk about how you think and do on behalf of the university; but when you do, you need to make sure not to dilute or obscure the impact of Think and Do. The following guidelines apply in all cases. Think and Do is a complete and distinct phrase. Do not tweak or alter it. Do not add to, subtract from or play with its wording. Our Twitter hashtag, #ThinkAndDo, uses unusual capitalization to ensure the words within it can be easily read. The entire Think and Do phrase is a single, indivisible conceptual unit; we never think alone or do alone. The success of the NC State brand depends on our ability to unify our marketing and communications efforts. This brand toolkit is an important step in that process, providing a common framework within which we can think collaboratively and do amazing work together. 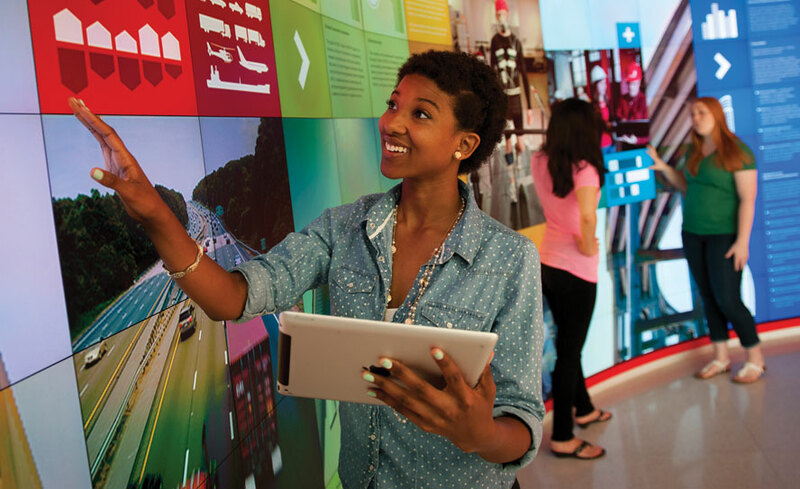 See how the Hunt Library launch put the NC State brand to work across platforms, from Web and print assets to events and the work of the library itself.